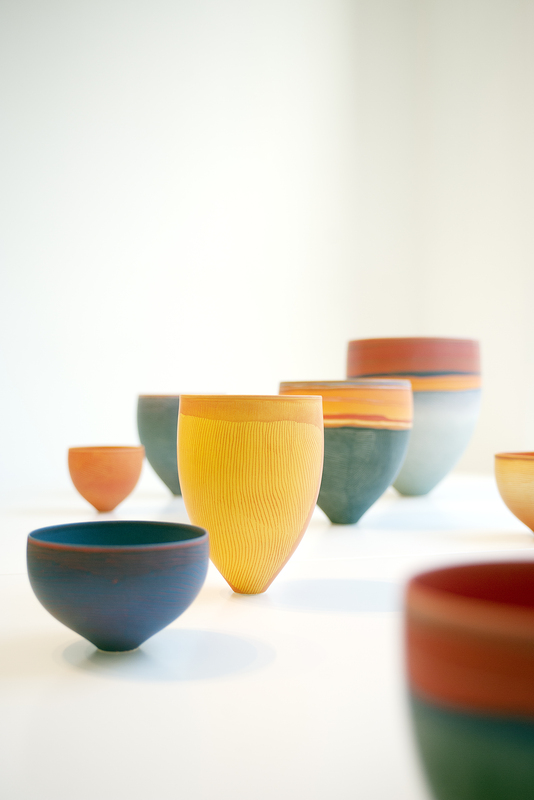 Puls Contemporary Ceramics is both honored and delighted to welcome back Pippen Drysdale. 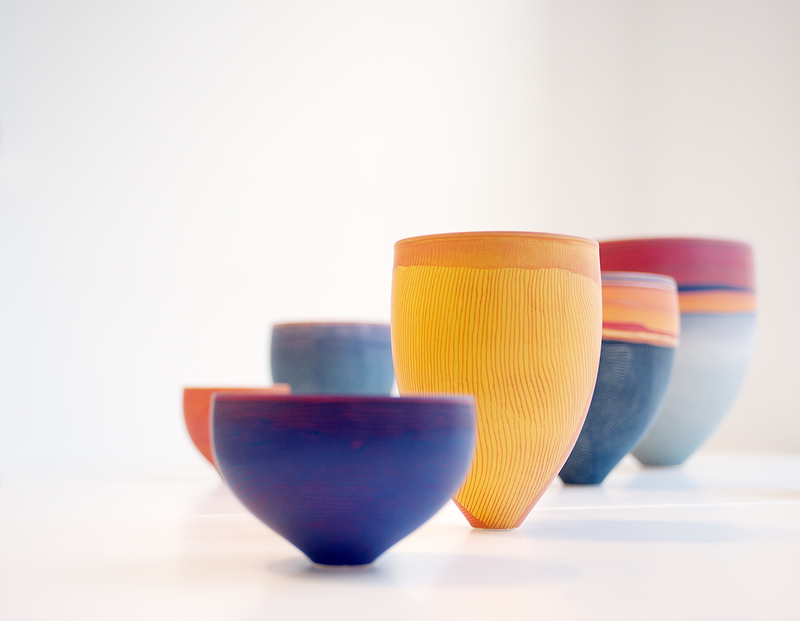 For over three decades this Australian original has blazed across the world ceramics sky like the Outback sun that burns and parches the desserts and landscapes she loves so much. It could be argued that the art that flows from her mind and fingers is nothing short of Nature’s vast land art writ small by her hand. Indeed, she takes you with her on her travels to harshly beautiful and invariable unforgiving landscapes that seemed to have shaped its peoples more than they have shaped it. Drysdale’s artistic career has been one of continuous change as forms, materials and perhaps most importantly, her color palette, has evolved. The precisely ordered interior of her studio in Freemantle seems at a great remove from the landscapes she creates. It is filled with long rows of shelves carrying their burden of experiments with shape, texture and color that are testimony to a ceaselessly inquiring and ambitious mind. Every trial has been a success—even when destroyed at some point in the making process—because it taught her something new or at the very least gave her ideas for new paths to follow. These paths seem certain to lead to more places that have an utterly unique character. She will no doubt capture the music, the resonance, the color of each ancient time and place and share it with us in her thrown and densely worked surface textures of regal but untamed vessels. After a visit, Drydale’s process of analysis, review and revision continues until she is convinced she has captured the character of each new place. The thin, tense lines, sometimes relaxed, often flowing, occasionally broken, trace the shadow gaps between the rows of dunes blown into undulating flows or the stratified rocks laid down over geological ages. 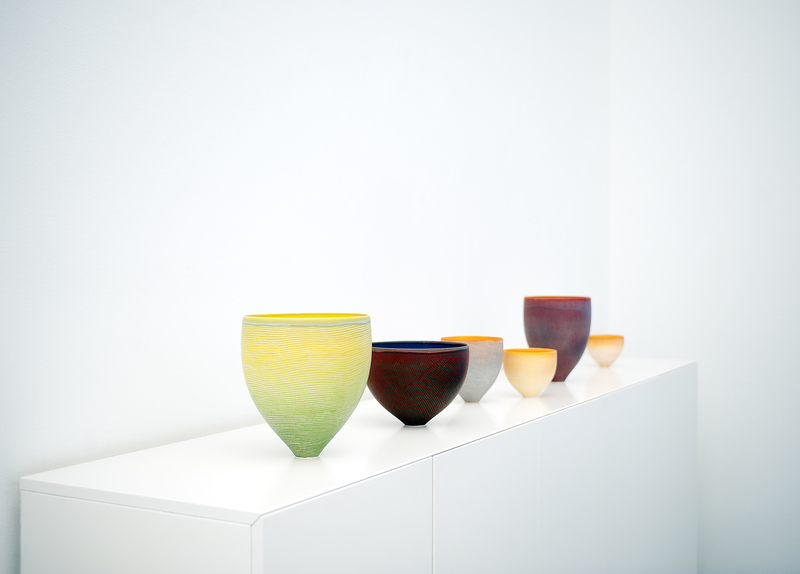 The interior gradation of color sinking down to a deeply resonant base is hypnotic and literally breathtaking. These pools of intense color are moments of absolute calm, a point of slippage into another dimension of thought and existence. It is impossible not to be moved, deeply moved, elated and calmed by this experience. The sonorous colors seem to come from another place, a place where everything is pitched at a heightened sense reality, so deep and luxuriant that it literally invades your being. Works by this Master of Australian Craft are avidly sought after by museums and astute collectors alike. Happy Christmas Stocking 2010, Pippin Drysdale (Personal show 2008), Pippin Drysdale (Personal show 2017).